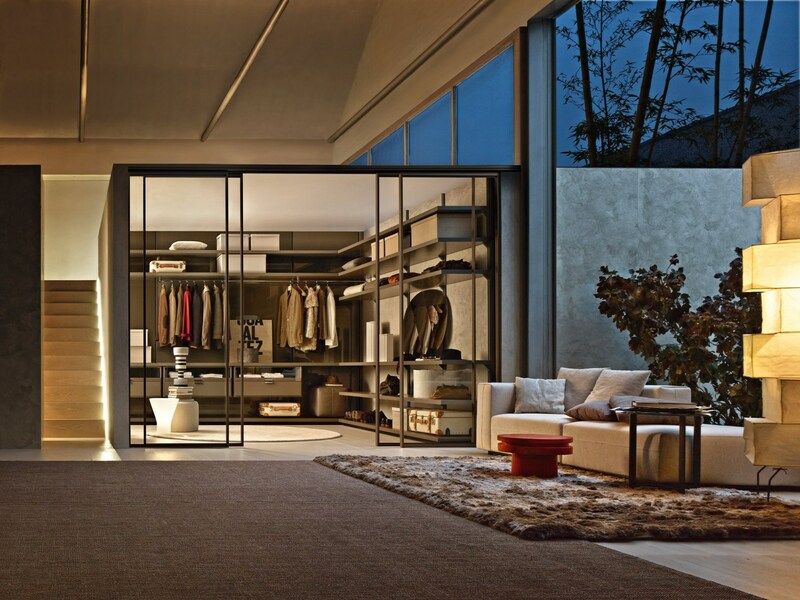 The Gliss walk in wardrobe from Molteni & C is a complete set of different elements. The wardrobe isolates itself to become a real self-standing room. It also lends itself to linear and angular solutions, suitable for all types of space, thanks to a “tailored” design system, available in many different finishes. All of the equipment can be arranged freely in height, both suspended and on the floor, thanks to a system of patented invisible self-blocking rods. 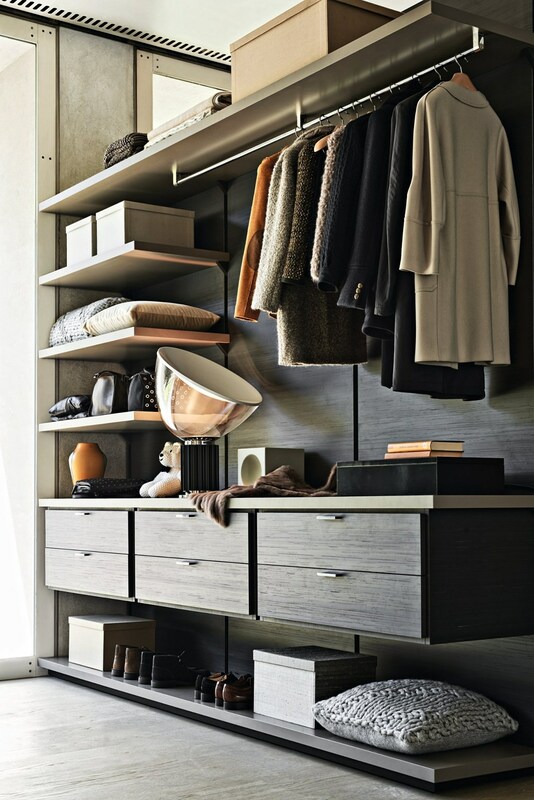 Ideal for creating a completely contemporary and bespoke open storage space.